Prime Minister Nguyen Xuan Phuc yesterday inaugurated the newly-built Ha Long-Hai Phong expressway and Bach Dang Bridge. 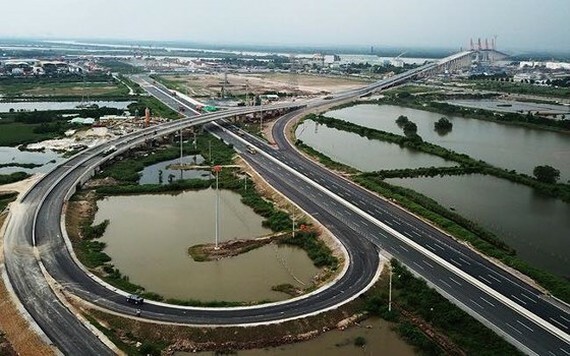 The construction of 24.6-km long expressway with four lanes connecting the northeastern Quang Ninh province’s Ha Long city with Hanoi and the northern port city of Hai Phong started on September 13, 2014. Vehicles were allowed to drive on the expressway with the maximum speed of 100km per hour after the ceremony. The PM has assigned localities to implement the expressway project, using the provincial budget and capital mobilized from the public-private partnership (PPP) model with total cost of VND30 trillion ($1.2 billion). After completion, it will play a pivotal in connecting economic zones in Hanoi, Hai Phong and Quang Ninh for socio-economic development of the three places. 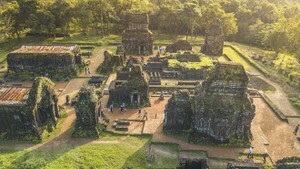 At the opening ceremony, PM Phuc lauded governments in Quang Ninh and Hai Phong provinces in clearing sites, facilitating formalities and mobilizing fund for the construction. He also appraised teams of engineers and workers to work hard. Mr. Phuc thanked people who agreed to remove for construction of the expressway asking local administrations to help them stabilize their lives.